Turkey’s Forestry and Water Affairs Minister Veysel Eroglu said that the referendum on the new Turkey's constitution draft could be held next spring. MOSCOW (Sputnik) — A new constitution draft elaborated by the Turkish ruling Justice and Development Party (AKP) is likely to be put to a referendum next spring, Turkey’s Forestry and Water Affairs Minister Veysel Eroglu said on Thursday. "It [constitution draft] will be referred to parliament. We presume it will win over 330 votes… So it will be referred to the nation. I think that it can end with a referendum next spring," Eroglu was quoted as saying by Anadolu news agency. Under the new constitution there would be no prime minister in the political system, while the president would be a member of a political party. "The ministers would be appointed from outside [parliament]. Parliament, deputies would pass the laws. 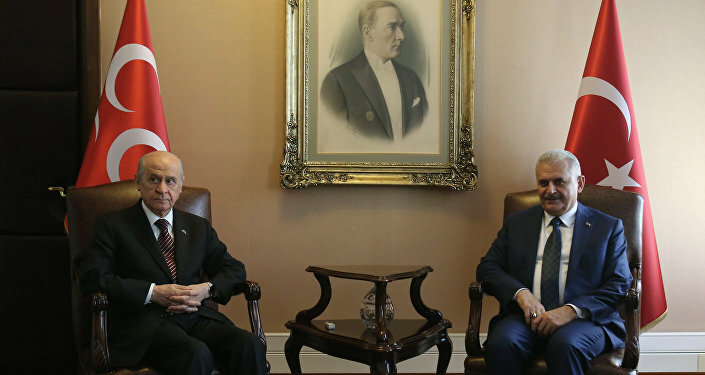 The system will proceed on the separation of the executive and legislative powers," Anadolu cited Eroglu. The draft is supported by the AK Party, holding 316 seats, and the opposition Nationalist Movement Party (MHP), with 40 seats. In order to secure a referendum to replace the parliamentary republic by the presidential system, the constitutional draft needs 330 votes, while it could pass directly without a referendum if approved by more than 367 parliamentarians. 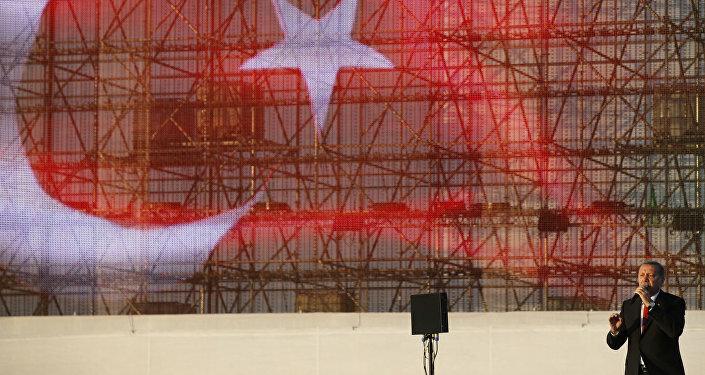 However, the AK Party announced it would take the constitution to a referendum in any case.